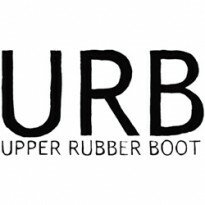 “Upper Rubber Boot” is slang for a remote place. URB publishes literary and speculative poetry and fiction from (metaphorically) remote places. Upper Rubber Boot Books is giving away 100 ebooks of Leslie Bohem's novella Flight 505, a rock and roll road trip thriller, through Booklikes. The story follows three former bandmates, one a mega-star, one a heroin junkie, and one living a quiet suburban life, and chronicles the killer consequences of their reunion. The winners will be selected randomly by the BookLIkes algorithm. I will send a copy to winners via e-mail. The giveaway runs from now until Saturday, 12 September 2015.